Perhaps you've seen amazing Zentangle® designs and wish you could create them too, but you don't know where to start. Or maybe you've doodled for years and wonder what all the hubbub is about. Imagine if you had a personal coach guiding you along your artistic journey. * will show you what to do step-by-step. A Zentangle® is a abstract drawing created using repetitive patterns. Almost anyone can use Zentangle® to create beautiful images. The process increases focus and creativity. It provides artistic satisfaction along with an increased sense of personal well-being. I Teach Tangling blogs weekly with articles, tips, book reviews, challenges, tutorials and much more. 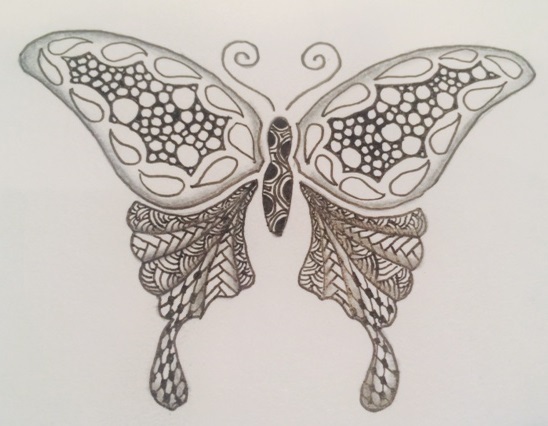 Check out the latest news in the Zentangle® world and follow my artistic journey.